The incidence of cyber threats has soared to an unprecedented level, impeding the growth of public and private organizations. In fact, research and advisory firm Gartner, Inc. noted in a study that 65% of today’s CEOs claimed that their risk management approach is falling behind—in a reality where security breaches are pacing faster daily. Bearing in mind that the country’s IT-Business Process Management sector is poised for growth with the rapid innovations in digital transformation, Big Data, and artificial intelligence, the Information Technology and Business Process Association (IBPAP) recently organized its 2nd IT-BPM Cyber Security Summit 2017 at the Marriott Grand Ballroom, Pasay City, to raise awareness, promote vigilance and build defenses against data breaches and cyber threats in the bustling contact center industry. IBPAP invited industry-leading enabler of digital business solutions ePLDT, Inc. and PLDT Enterprise, the business arm of the country’s leading telco and digital services provider, to discuss how the proliferation of cyber threats affects the business resilience of players in the IT-BPM sector. Nico Alcoseba, Vice President and Head of ePLDT/PLDT’s Disruptive Business Group and Angel Redoble, ePLDT Group’s Chief Information Security Officer, shared the company’s initiatives in addressing the challenges that come with cyber security and the importance of mitigating threats to ensure business resiliency. According to Alcoseba, the Experience Age brings with it a host of opportunities for organizations in the IT-BPM sector given that customers are hungry for simple, immediate, personalized and ‘always-on’ product or service. However, these opportunities invite heightened risks that affect the seamless flow of enterprise operations. 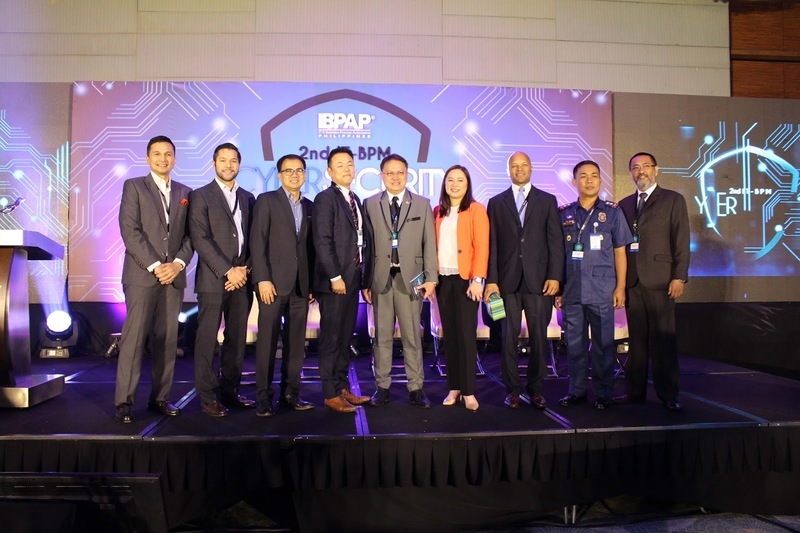 The IT Cyber Security Summit brought together key industry players in the IT-BPM sector to open the discussion on cyber breach incidences and how private and government sectors can partner to prepare for it. During one of the talks, it was revealed that the cost of cybercrime to the global economy was estimated to be more than $500 billion a year. Locally, the Philippines saw high-profile cases that included the US$81 million theft from the central bank of Bangladesh as well as the breaches of consumer data and incidents of ransomware. ePLDT, Inc. sets the pace for IT innovation in the Philippines through a digital mindset and a forward­thinking culture, composed of agile, committed and enthusiastic professionals, empowered by seasoned leaders in the telecommunications and IT industry. Its service roster includes Cyber Security, Cloud, Analytics, Data Center and Managed IT Services which are critical to enabling customer success in the Experience Age.